A number of factors help determine the ROI of purchasing an asphalt plant, such as market size, location and total cost of ownership. Each drum mixer plant’s features, too, impact your bottom line. 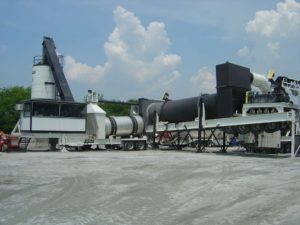 When it comes to selecting an asphalt plant, it is important to know the characteristics that can help guarantee a better ROI. Asphalt plants are no longer considered to be a threat to the environment. Modern plants burn much cleaner and newer components provide superior emissions control and dust handling. For instance, a plant with a counterflow configuration will maximize fuel efficiency while minimizing hydrocarbon pollution. A clean-burning plant also will extend the life of the baghouse, and the efficiency of counterflow technology results in increased production. Plants with an isolated mixing zone, such as the 160- to 425-tph Milemaker Series, will allow more mix flexibility, a benefit that will pay off in the long run. By using this type of plant, additives and RAP can be introduced into the drum mixer while remaining isolated from the drying and combustion zones. A plant that is easy to calibrate is an important feature, both when purchasing a plant for the first time or expanding to a larger plant. This will lower the risk of drifting out of spec, which in turn gives producers confidence in the product they’re producing while helping to guarantee customer satisfaction. This feature will be especially important when producing mix for Superpave jobs. Do you have questions about choosing asphalt plant features that would best benefit your operation? Contact us!